Suspended over the streets of New York's trendy Meatpacking District, there lies an oasis of urban respite. 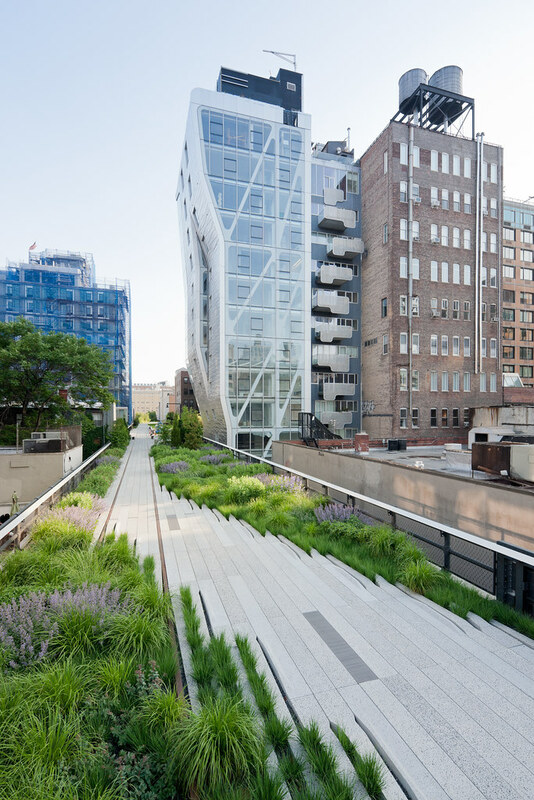 Stylish travel blogger Jaillan Yehia tells us why New York's High Line is the perfect combination of greenery and grit. I haven’t been to New York in over a decade; it’s been so long in fact that that the photos of me at the top of the Empire State Building and gazing up at the Statue of Liberty are stored in an actual photo album with pages and everything. But I’ve always wanted to return to experience all the classic NYC pursuits once more – shopping at Macy’s, taking yellow cabs, walking in Central Park, checking out the buzz in Brooklyn and eating at Zabar’s. Well, just eating everywhere really. Yet the one thing that’s captured my imagination and made me desperate to book my next flight to NYC is the idea of walking along a disused railway track. 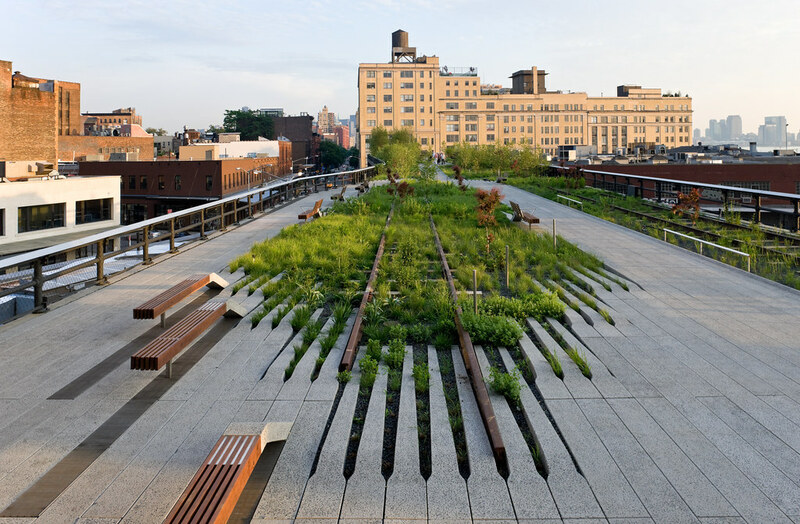 That may sound weird but old rail track turned park, the High Line, has gained a reputation over the last few years as an irresistible combination of New York tourist attraction meets urban photographer’s paradise. 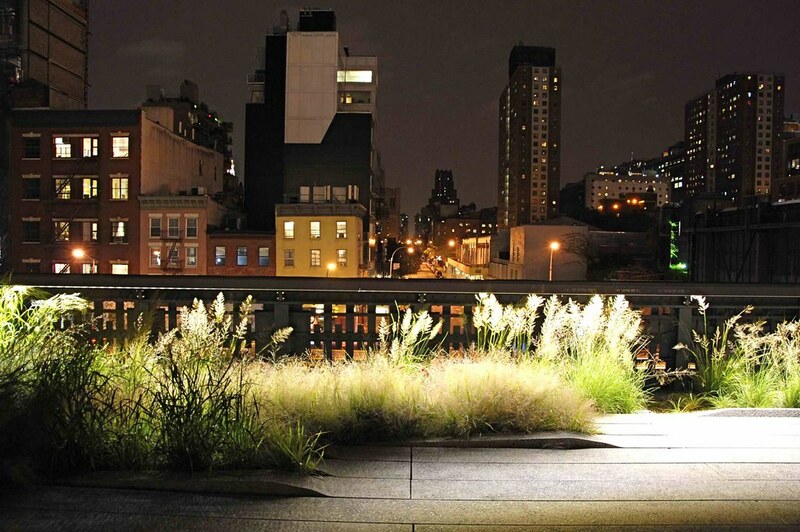 Walking high above the middle of a city along your own gardened and gravelled version of a red carpet would be cool enough anywhere, but to do it in a landscaped garden created above Manhattan’s famous Meatpacking District using the train line’s original tracks, materials and native plants puts a new twist on the city that never sleeps. Since the High Line first opened to the public in 2009 I feel like it’s been following me around – like when you hear a new word for the first time, only to find it popping up everywhere from that day on. As a Londoner the idea of an urban park salvaged out of seven acres of disused space running along Manhattan’s West Side was something I could relate to and which captured my imagination. Here in my own city there’s nothing I like more than to walk along the Regent’s Canal, enjoying the juxtaposition of greenery and grit, nature and concrete, plant life and low life that unfolds along the route; and there’s something special about observing and photographing the city from a space that’s part of its surroundings yet somehow separate from them. This is more than just a walk too, it’s at once an art project with ever changing murals and sculptures, a street food celebration with artisan hot dogs, tacos and gelato, a pop-up restaurant project, a community dance hall full of the rhythms of salsa and merengue, a horticulturist’s dream space, and just a place to meet, picnic, chill out or take a break. All right in the centre of the city. I can’t wait to see it for myself – and now couldn’t be a better time to get booking. After being extended to include a second section in 2011, New Yorkers campaigned to save the third and final part of the line, and at the start of this month designs were unveiled for this last bit of revamped elevated railway viaduct which has now been signed over to the city. The Rail Yards will complete the High Line project –and help me and thousands of others get the most out of a trip to the Big Apple while remaining on the Small Budget. Maybe the best things in life really are free? 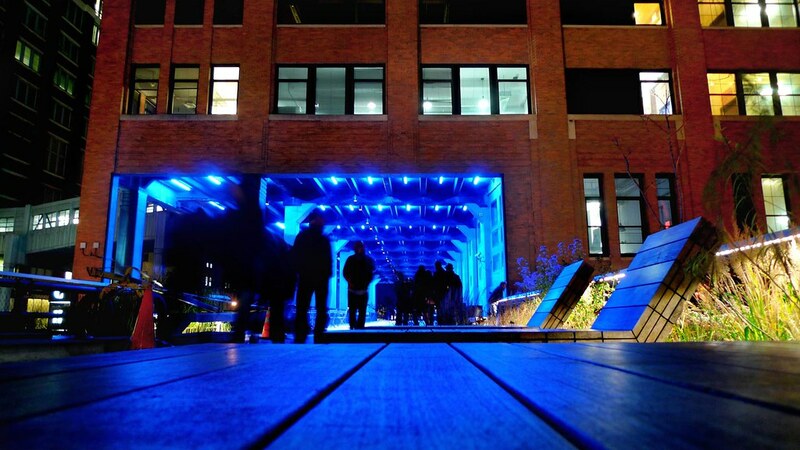 The High Line is located between Gansevoort Street (in the Meatpacking District) and West 34th Street between 10th & 11th Avenues. The park itself opens at 7:00 a.m. and last entrance is at 10:45 p.m. before it closes at 11:00pm. Want to head to New York and walk the line for yourself? Take advantage of our worldwide airfare sale and fly to New York from £494. Read more about Jaillan's travels on her blog, Savoir There.